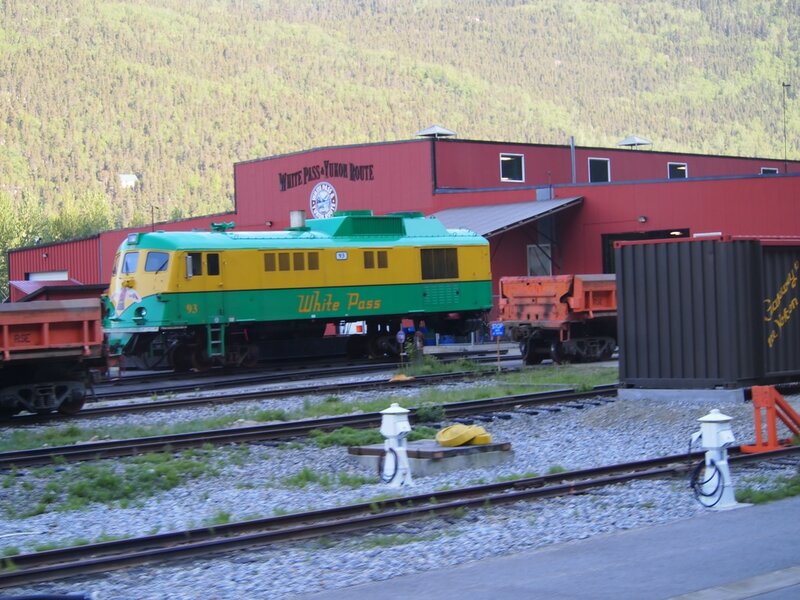 This historic narrow gauge railroad runs from Skagway, Alaska to Whitepass, the capital of the Canadian territory of Yukon. Built in 1899 in a project considered so impossible that it is now a International Historic Civil Engineering Landmark. 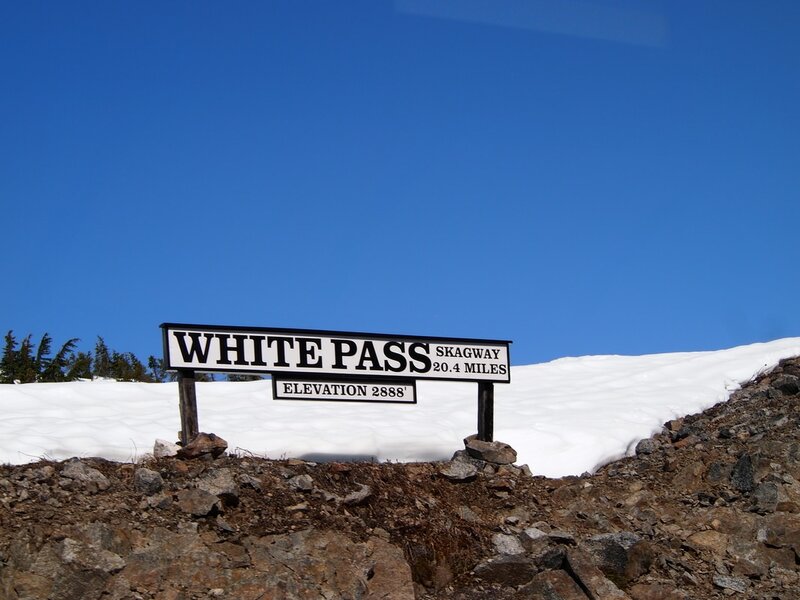 The most popular trip takes about three hours and is a forty mile round trip excursion that climbs from the sea level cruise dock at Skagway to the Summit of the White Pass - a 2,865 foot elevation. 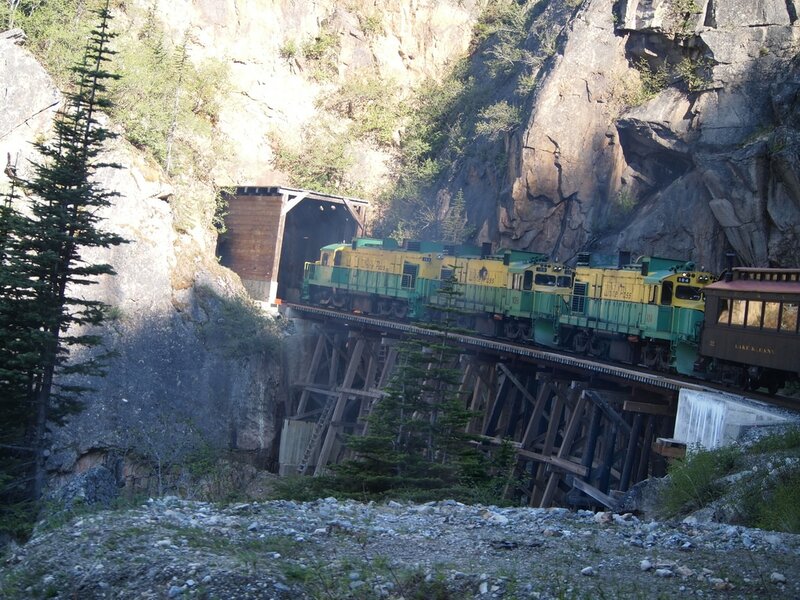 The fully narrated tour passes through two tunnels, over sky-high trestles and cascading waterfalls. Head over to our Blog to read a Post (HERE) with more images of what this ride is like. And give us a call to plan your Alaska vacation including a ride on the White Pass & Yukon Route Railroad. Entering one of the two tunnels.